Thanks to everyone that took part in the Battlefield™ V Closed Alpha! Not only was the Closed Alpha a chance for select players to go hands-on with an early version of the multiplayer map Arctic Fjord – it generated a lot of valuable data and feedback on how the game plays, performs, and looks. Our server capacity and the total number of players needed to successfully complete our tests were limited – and so was the number of players in the Closed Alpha. We sent out a limited number of invites to Battlefield™ 4 or Battlefield™ 1 veterans that had opted in to receive marketing material from EA, and we handed out Alpha keys through social media to invite players that showed strong interest in joining. In the Alpha, we tested the technical aspects of the game, its many backend systems, player scoring rate, and many other things. As you and your squad fought for precious Narvik territory in Grand Operations and the Conquest mode – sampling the new gunplay, the Fortifications system, and more along the way – we learned a lot. Get an overview look at what the Battlefield V Closed Alpha was about. Our learnings fall in to two major categories: technical and gameplay. Let’s start with the former, and more specifically, the mechanics of getting into the game. Note that game content, gameplay mechanics, and other Battlefield V aspects covered in this article may change between the Closed Alpha and the launch of the game. As in Battlefield 1, there are two ways of joining a Battlefield V game: hitting a quickmatch button to be matchmade with other players or joining suitable games through the server browser. In the Closed Alpha, we had some issues with our matchmaking configuration, which caused some players to get error messages or be placed in less suitable server locations with increased latency when trying to join. Alpha players may have found it easier to join a game through the server browser, and while that is a viable option, matchmaking should always be a smooth, reliable way to get into the game. Of course, the matchmaking system will see many changes and improvements between now and launch, and we even had time to improve it in the later days of the Closed Alpha, through some under-the-hood backend changes. Your feedback and participation made it possible for us to make further tweaks to this. There are many factors to juggle when it comes to matchmaking: finding players with equal latency and skill level, and more – and these factors all need to co-exist. Getting the best possible matchmaking is a challenge of balance; we want to match you into the best possible server and experience, which may take a few moments of waiting, but at the same time not have you waiting too long to deploy. We appreciate your feedback on what you believe is a reasonable waiting time, and your comments on the Closed Alpha Forums have been very helpful. There were issues with staying in your Squad between matches – this did not work as intended in the Closed Alpha but will be fixed. Squad Play is vital to Battlefield V and keeping you and your squad buddies together is a big priority for us. The Closed Alpha also gave us insights into client and game server stability. Crashes should be as rare as possible, and though we almost hit our target for stability, we will keep working on improving that. Apart from aspects like matchmaking and stability, we’re also hard at work with other things, such as improving the queue system, minimising toxicity with a potential non-cross-faction chat room, and squashing strange bugs – like a picturesque Norwegian cabin mysteriously appearing around a downed player during a revive. Before we get into the gameplay side of the Battlefield V Closed Alpha, we want to stress that the Alpha was a tiny sliver of a complete package – featuring only a sub-set of vehicles and weapons that the final game will contain. There’s lots that you haven’t seen yet – and lots that’s still to be tested! 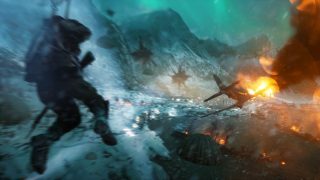 Battlefield V will also have urban maps, wide open maps, and other environment types beyond the arctic, European one in the Closed Alpha. That said, it gave us a ton of great info which we will use to adjust the gameplay. Let’s jump into our gameplay learnings. Battlefield V has a refined revive system compared to previous games. After the Alpha, we will be adjusting both the Medic revive and the buddy revive. It will overall feel less clunky and we’ll also fix some delays – such as when you were done reviving and couldn’t move for a full second. We’ve already made the buddy revive around 2.5 seconds faster and we will also assess if we need to adjust the Medic revive accordingly. We’re also aware that it could sometimes take quite a while before a player could initiate a revive and that the revive icon tended to be delayed. We are actively working on the issue. When it comes to ammunition, we saw that players in general liked the war of attrition and having a limited number of bullets when deploying. We will tweak these numbers slightly for some weapons to get an optimal balance. There are other factors that affect ammo availability, too. For instance, the possibility of looting dropped ammo from dead players benefits certain classes more than others, and we’ll need to adjust the balance accordingly. In the Closed Alpha, we gave you the chance to call in two of the several Squad Reinforcements of Battlefield V: the Churchill Crocodile Tank and the V-1 Rocket. Players had fun with these powerful weapons, but some aspects will be adjusted. For example, it was way too easy to be reinforced with the V-1 Rocket in Conquest, and though matches are supposed to escalate with these reinforcements at the end of a match, we will tone this down. Furthermore, details like blast radius and how you can be warned of (and potentially counter) the V-1 Rocket are being investigated. When it comes to the Time to Kill, or TTK, we’ve seen some polarising feedback where some players felt they were being killed very fast when encountering enemies, while others felt the TTK was just right. This is something we will keep tweaking. It’s worth mentioning that TTK is not just determined by how powerful weapons are. For instance, it’s also related to how fast the game lets you react to being fired at. We’re looking at how fast can you assess a threat and understand from where the fire is coming. Giving you good communication on enemy fire will let you fight back and survive longer. 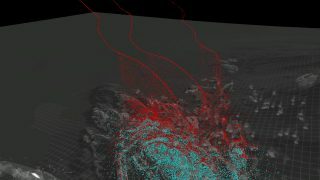 We’re also fine-tuning the amount of camera shake that occurs when you’re hit. If these adjustments aren’t enough, we’ll look at tweaking the damage of weapons. Other factors affecting TTK (or “Time to Death” in this case) include what game mode you’re in. If you’re defending a sector in Breakthrough, you’ll often experience fire from one direction. Defending the same area in Conquest will present threats from different directions, but on the other hand, this is a mode where you are less likely to run into a higher number of people attacking you simultaneously. The visibility of other players, the new spotting system, and other variables will all need to be tweaked to get a TTK that we and the community are happy with. Finally, as a general tip: observing more, choosing your engagements, and playing as a squad will always keep you alive longer! The Closed Alpha took place on the map Arctic Fjord, featuring the Conquest mode and two modes of a Grand Operation: Airborne and Breakthrough. Regardless of mode, the map was designed to have clear “lanes” where you engage with enemies and objectives, and thanks to this we saw many nice fights between the bridge towards the mountain side. The telemetry image above shows you the most popular places for players to be. The valley saw less action, though some players used it for shortcuts. We were also happy with how the Fortifications could be used on the map – not only by defenders holding an objective, but also by attackers getting from A to B. When it comes to the Airborne mode, we learned many things on how players take the ground and start pushing for objectives. 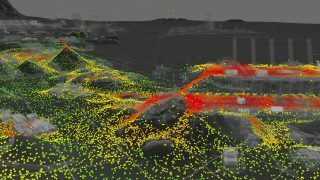 The image above shows how much great data we got on where players paratrooped down and where they landed – and we’ll use this info to adjust flight paths and the control and characteristics of the parachutes. We were thrilled to see that you enjoyed the gunplay in the Battlefield V Closed Alpha and your feedback has been valuable. For instance, we’ve already tweaked the recoil of some weapons, meaning it will require a bit more effort and pacing between shots to be effective. For Battlefield V, we want a system that clearly shows the player what happens with the weapon at any time. In contrast to previous games, bullet spread is now converted to recoil, and we’ve improved the clarity on how controllable your weapon is when firing. In Battlefield V, you will learn what’s going on with the weapon faster. The gunplay will be tighter, you will have more control, and it should feel more physical. Our hope is that players should be able to truly master their weapons; the more time you spend with a certain gun, the more you will learn how it behaves. You will learn something new from each engagement. Even if you miss, you should feel that it's not the gun’s fault. We’re pleased to add a useful single-fire mode to certain Battlefield V weapons. This adds a layer of decision-making to gunfights where the player potentially could switch firing mode to be most effective, rather than using full auto only. Obviously, we’ll keep an eye on how this affects shooting behavior and the overall weapon balance. Important to note is that the Closed Alpha had a limited pool of weapons and when we add more, the overall balance will change. The arsenal that was tested in the Alpha was a small subset and more passes will be made to it and all the other Battlefield V weapons and gadgets. We’ve touched on the Closed Alpha’s major gameplay areas in this article, but there are many other aspects that we’ll keep working on. Vehicle controls, the amount of camera shake, the volume of footsteps, and various bugs will all be addressed. There will be several more tests of Battlefield V – internal and external – before the October launch, and we will be using our learnings from the first Alpha to test further and fine-tune the experience. There will be a new build of Battlefield V at Gamescom, too, and then there is the Open Beta in early September to look forward to. Thanks again for helping us make Battlefield V the best it can be. Join the fight on Xbox One, PlayStation® 4, and PC. 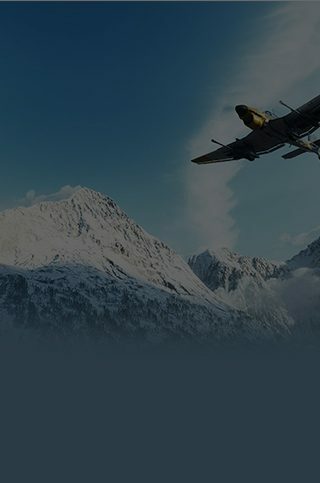 Starting on October 11 for the EA Access* and Origin Access Play First Trial and Origin Access Premier members, October 16 for Battlefield™ V Deluxe Edition early enlister access, and October 19 for the Battlefield™ V Standard Edition. * CONDITIONS, LIMITATIONS AND EXCLUSIONS APPLY. SEE ea.com/ea-access/terms AND origin.com/store/origin-access/terms FOR DETAILS.